What an amazing place. Of course I can’t show you pictures of the art on display but there are a few shots I can post of the building. 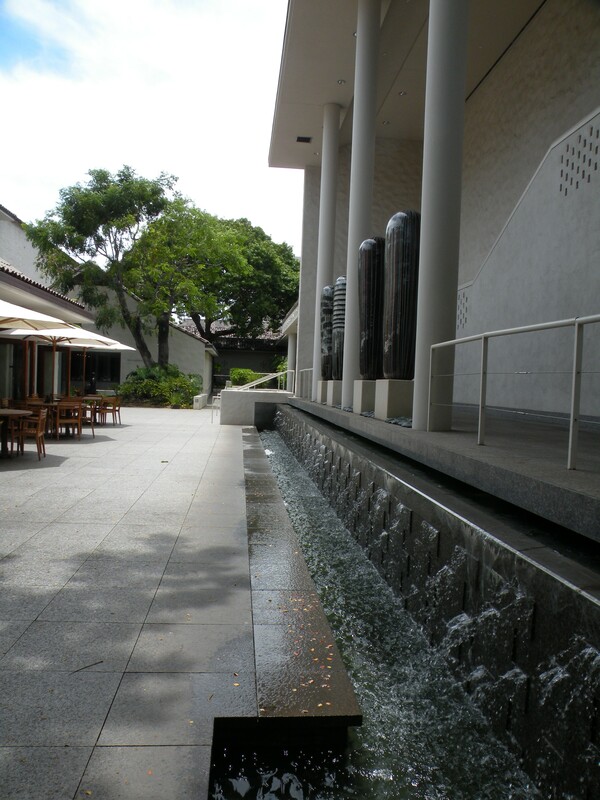 The Honolulu Academy of Arts is located close to the downtown business district of Honolulu but is an oasis of calm. The layout is such that there are 6 courtyards and each built on a different theme. 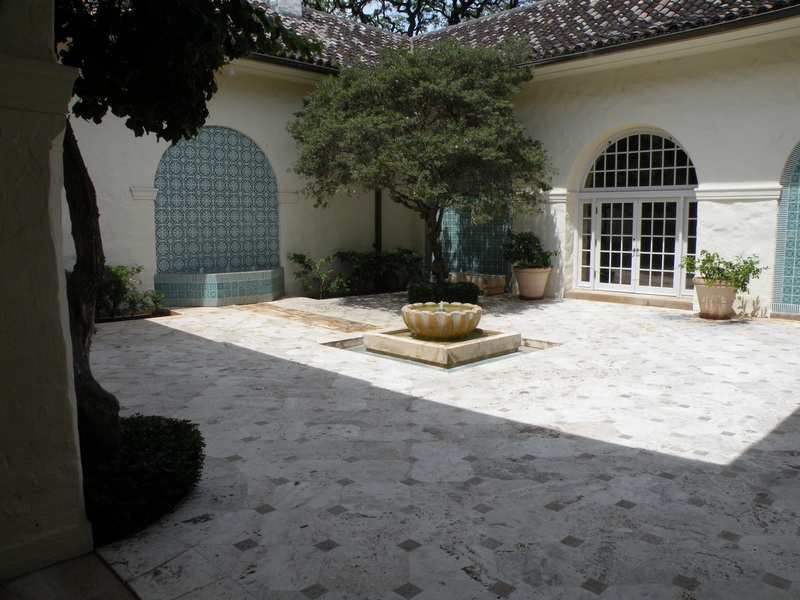 They range from the Chinese Courtyard to the Mediterranean courtyard. 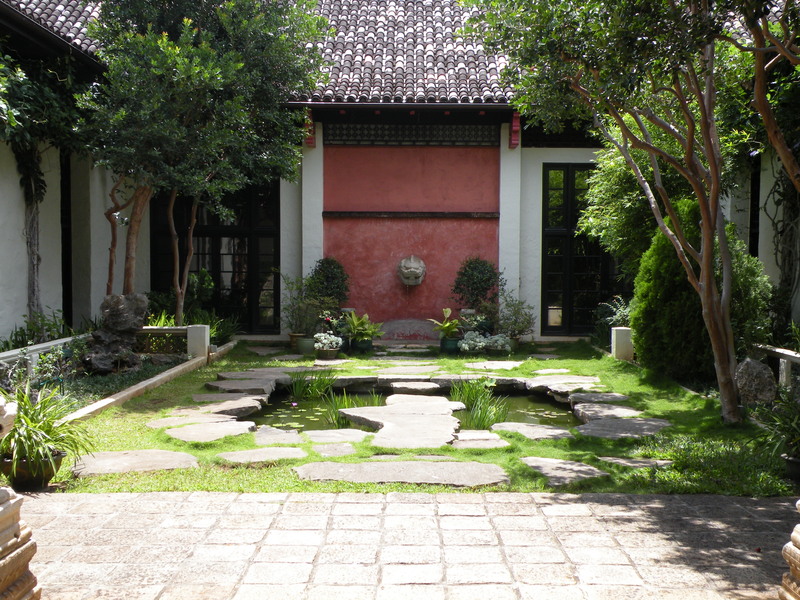 Each of the courtyards is located close to the part of the building that houses art from the respective area. 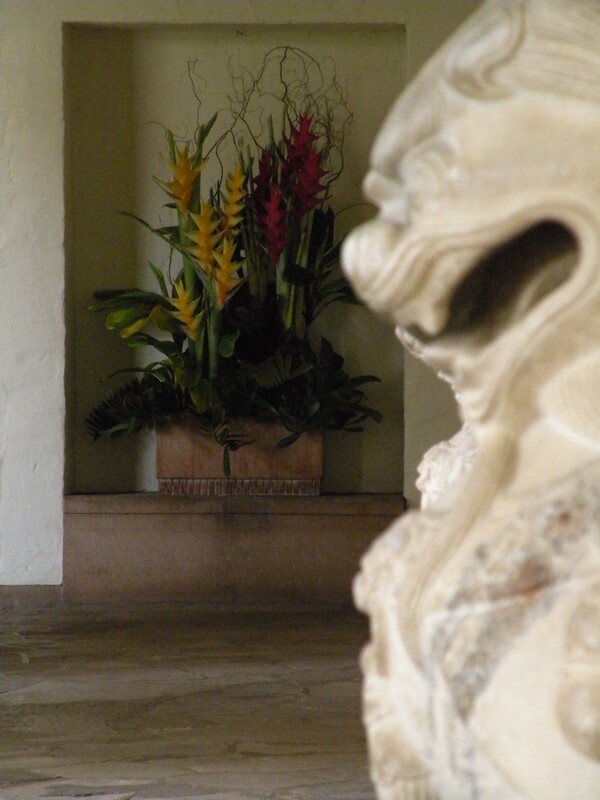 Hence Asian art from China and Japan close to the Chinese Courtyard etc. Every continent in the world is represented and the collections, although not huge, are of exceptional quality. For example, in the Japanese section a stunning display of woodblock prints from artists such as Utigowa Hiroshige as well as a very minute collection of netsuke. For those of you who have read The Hare with the Amber Eyes it’s quite exciting to see some superb examples of netsuke. In the section on 19th Century European painting and sculpture they have paintings from Gauguin, Delacroix, Monet, Van Gogh, Cezanne, Camille Pissarro and Henri-Edmond Cross to name but a few. Other highlights of the academy include the Gallery of Modern and Contemporary Art with paintings from Bacon, Rauschenberg, Warhol, Braque and Tanguy. So can’t say we can complain about nothing to see in Honolulu while we’re here. ← Waikiki – Another place in the sun! I’m vicariously enjoying Honolulu and visits with Barb and Bill through your blogs. Thanks for the updates! Today is the first sunny day on the BC coast in who knows how long, but still chilly. Maybe a high of 15 today. Whoopee! Bill’s doing well (me, too!). We’ll head in the general direction of Desolation Sound later next week. Grandchildren have requested time on the boat with cousins and/or friends, so that’ll be fun! Take care and remember to slather on the sunscreen!